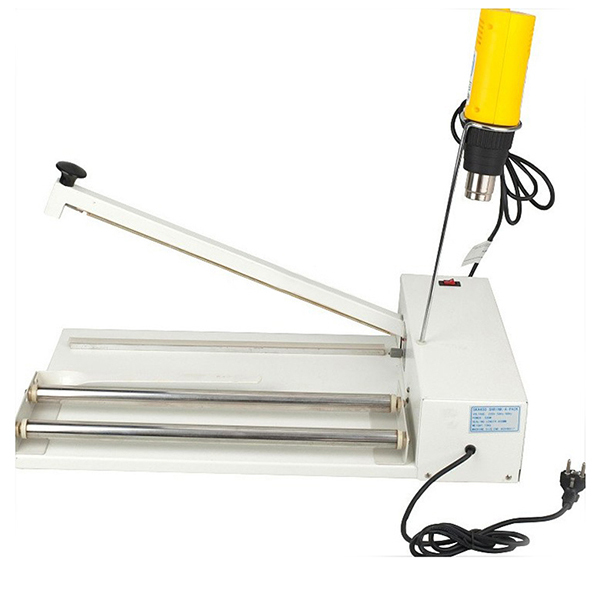 (3) use heat gun to shrink bag. 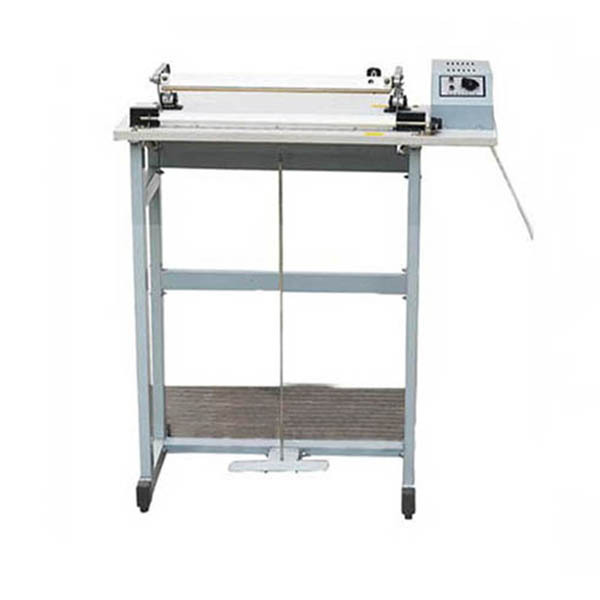 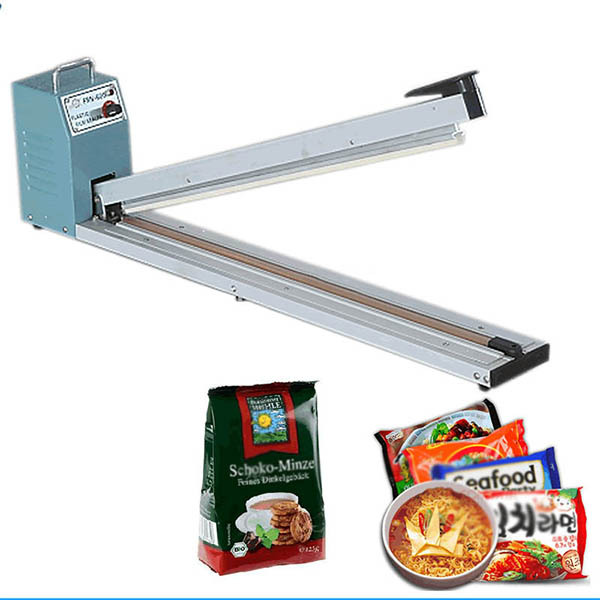 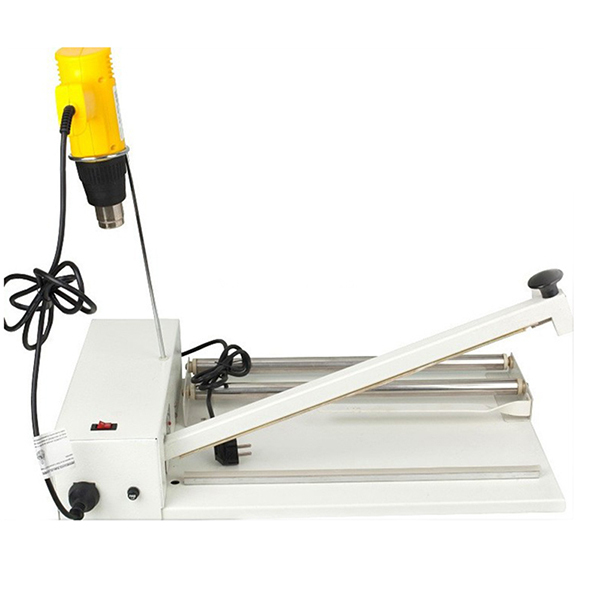 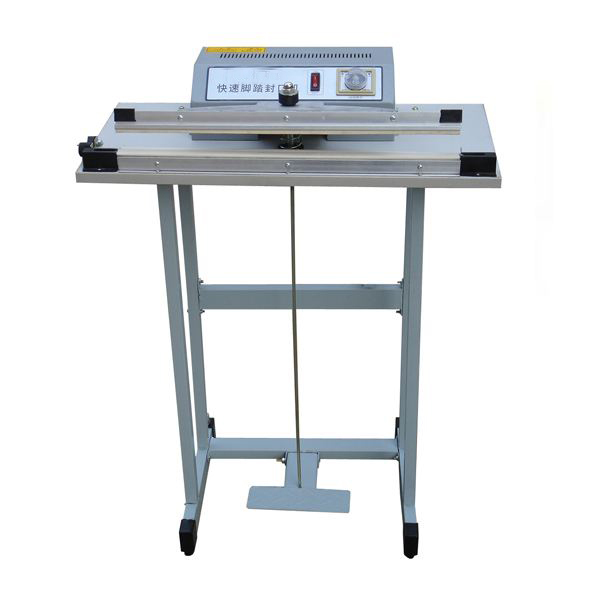 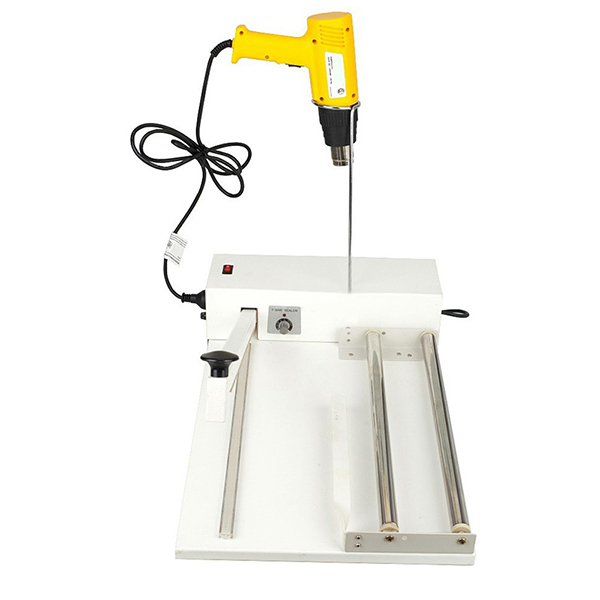 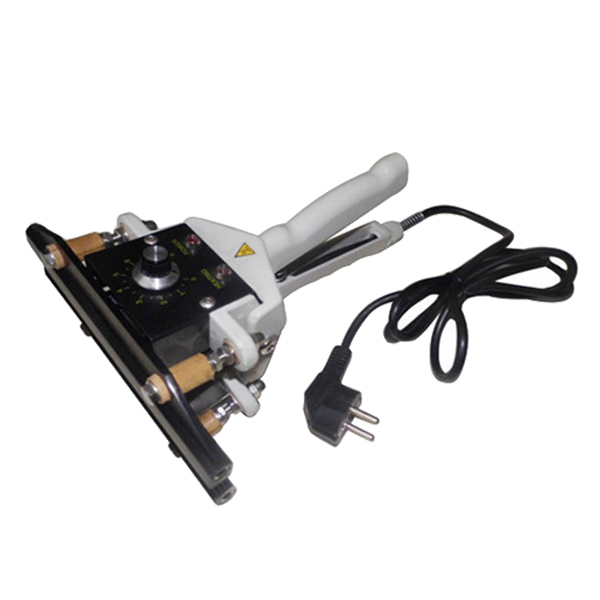 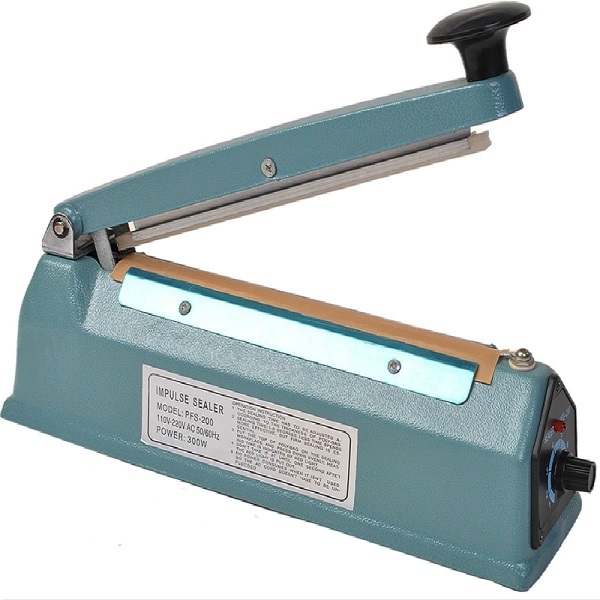 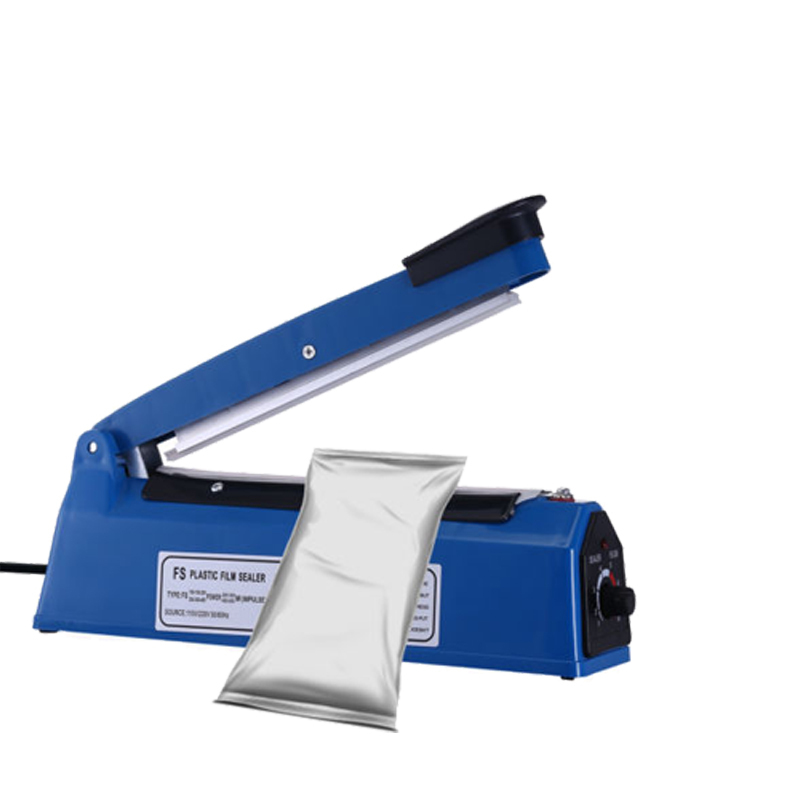 SKA I Bar Plastic Bag Sealer With Shrink Heat Gun is a impulse type plastic bag sealer and only uses electric power and gets hot when seal arm is depressed to seal a bag. 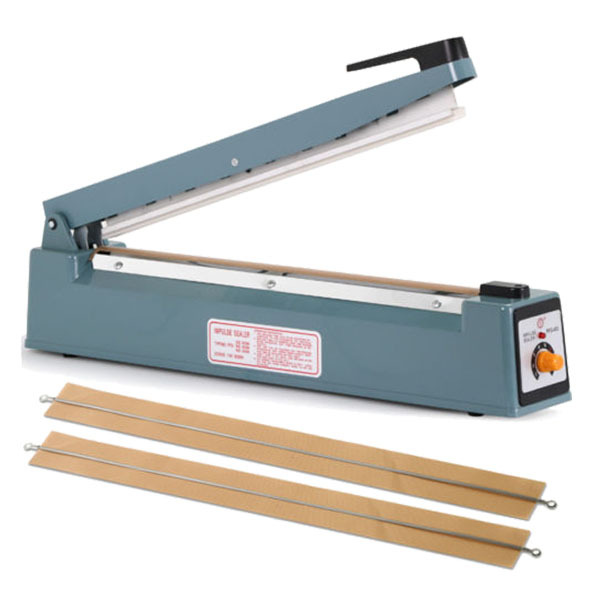 Cools immediately after sealing.